We're now on flagship territory. 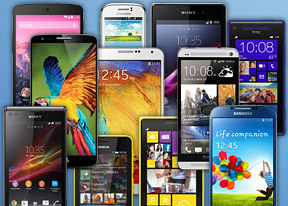 True, not cutting edge or top-of-the-line models, but many former flagships and versions thereof can be found in this price range. Still, most people won't need to look further up the pricing ladder, unless they are specifically looking for the latest and greatest, or a specific feature that phones in this bracket do not offer. The Sony Xperia Z is just over a year old at this point, but it's still an excellent phone - it has a beautiful glass-and-aluminum design and is one of the few water-resistant devices. The Snapdragon S4 Pro chipset is getting a little long on the tooth compared to more capable offerings, and the 13MP / 1080p camera isn't up to par. The screen has poor viewing angles but is decent otherwise. Also, the water-proofing didn't prevent Sony from putting in a microSD card slot. Its successor, the Xperia Z1, improves on the camera, chipset, display and even battery and water-proofing rating, and the just-announced Xperia Z2 flagship makes it look downright ancient. Still, the Xperia Z has a lot to offer for the price. 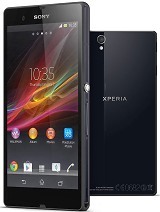 The Sony Xperia Z Ultra phablet is a stunner - a huge 6.4" 1080p screen and a 6.5mm thin glass and metal body with an IP58 water-proofing to boot. It has a powerful Snapdragon 800 chipset and as of recently a Google Play Edition (you don't have to buy one; the ROM should soon be available for all Z Ultra owners with some tech skills to flash). The Xperia Z Ultra is probably too big to comfortably carry along unless you have a bag, but it's one of the most powerful phablets around and the only one that wouldn't mind a trip to the pool. This is the second consecutive price segment the Z Ultra has slipped through, dropping by yet another €100 since the previous installment of our shopping guide. 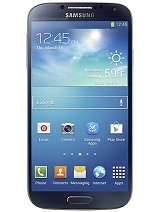 The Galaxy S4 needs no introduction - Samsung has spent tons of money on ads and over 40 million people have already bought one. The plastic design isn't everyone's favorite, but it fits a 5" display in the footprint of last year's 4.7" flagships. It's powered by a Snapdragon 600 chipset, which until recently was the best in Android-land (and is clocked higher than other S600s), an excellent 13MP / 1080p camera and tons of proprietary features (detecting a hovering finger, split-screen multitasking). One important tip - the Galaxy S4 also comes in an Exynos 5 version. Samsung has tuned both to have similar performance overall, but since the Exynos model omits LTE you might find it cheaper in some places, which makes it a solid option in markets without a 4G network. On the other hand, the Snapdragon 600 version is also compatible with official pure Android releases - you don't need the Galaxy S4 Google Play Edition for that. As a side note, Samsung has released a Black Edition Galaxy S4, which does away with the plastic rear panel in favor of the faux leather one introduced with the Galaxy Note 3. If you can find it without too much of a price premium, it adds some much needed quality to an otherwise tired design. In case the Ascend Mate and Xperia Z Ultra phablets weren't good enough, have a look at the LG Optimus G Pro. 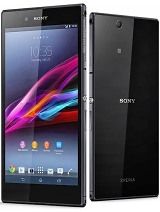 It comes close to current phablets with a 5.5" 1080p screen, Snapdragon 600 chipset, 13MP camera and 3,140mAh battery. 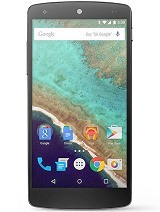 The Nexus 5 has a 5" 1080p screen and a more powerful chipset than the S4 and it runs pure, unsullied Android, which is highly desirable in some circles. The 8MP/1080p camera has optical image stabilization too, one of the few Android cameras that do.